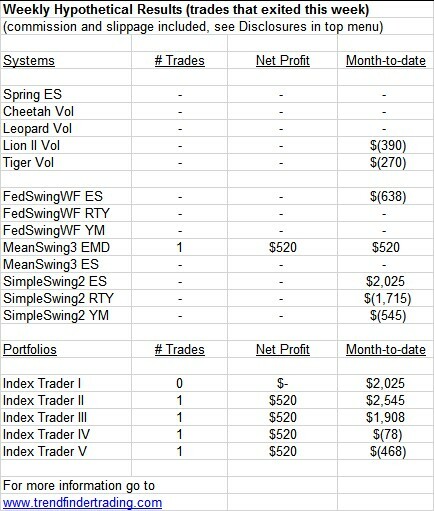 Each swing system closed at least one trade today in one of the markets it trades. There was just one closed trade this week. There were a handful of trades this week. 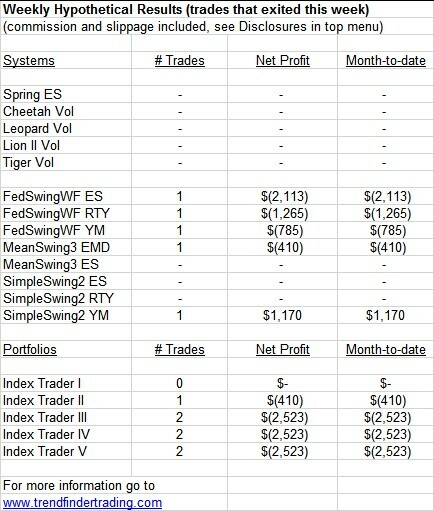 Every portfolio had a nice profit thanks to SimpleSwing2 ES catching the bullish move in the market. 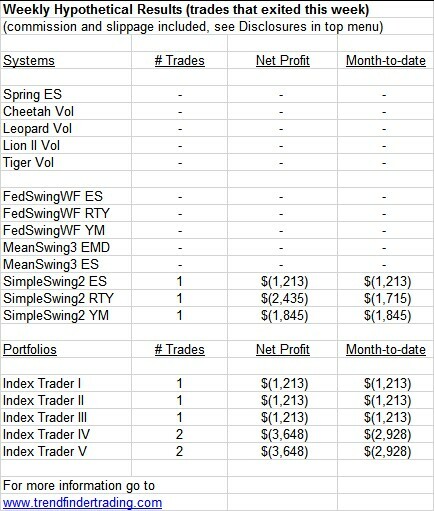 With the increased volatility last week, the intraday systems were on the verge of being active again. Two of them had one trade this week then went dormant again since volatility dropped. 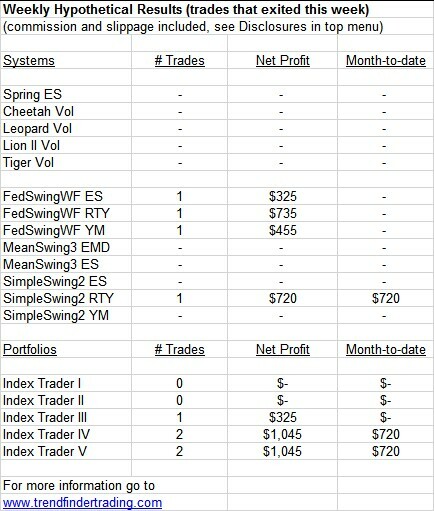 SimpleSwing2 exited a long trade this week. FedSwingWF exited short trades on Thursday, and SimpleSwing2 exited a long trade on Friday. 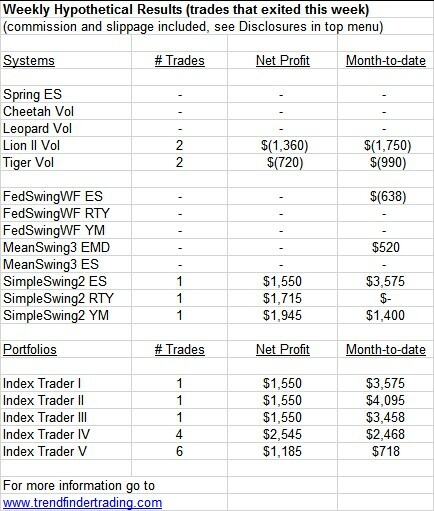 Just one trade exited this week. MeanSwing3 exited a short trade with a trailing stop. 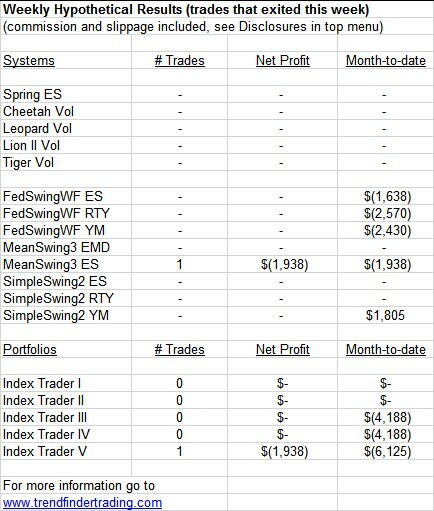 FedSwingWF exited short trades, and SimpleSwing2 YM exited a long trade.